I'm still attending the game Sunday against the Steelers, who will undoubtedly enter TIAA Bank Field with a massive chip on their shoulder. Already embarrassed by the loss of Sunday Night Football and the season's playoff hopes, can the Jaguars’ players come together to act as spoilers to Pittsburgh? In other words, do you think they've got any fight left in them? I get the feeling this game will be over after the first quarter, but I thought that after the first quarter last Sunday, too. Nothing can change the sense of loss from last year to this one but beating the Patriots and the Steelers would at least be something. I do believe the Jaguars will have fight Sunday. It’s my experience that NFL players rarely quit – and that the issue with teams that are out of the playoffs late in the season is more often whether they continue to play as one within team concepts. That often goes away when teams are struggling, and I would be more concerned about that with this Jaguars team than I would a “lack of fight.” A potential positive for the Jaguars Sunday is they match up well against the Steelers. Pittsburgh quarterback Ben Roethlisberger tends to hold the ball and wait to make plays downfield, which could allow the Jaguars’ pass rush to be effective. I doubt the Jaguars will win Sunday. They have lost five consecutive games and the Steelers have won five consecutive games, so to think the Jaguars will win seems a stretch – at best. But I think they will play well and I think it will be close. We’ll see. We have to go offensive line in Round 1. I haven't seen or heard this discussed, but with all the "miscommunication" and blown assignments on defense could that be related at all to Jalen skipping organized team activities? He missed reps with the first-team defense, I guess too busy running his big mouth to magazines instead of focusing on football. I know there's no way to quantify this, but the defense has been giving up big plays all year and to me it’s a bad look. I can’t in good conscience say that Jaguars cornerback Jalen Ramsey missing OTAs is why the defense is missing assignments. If I knew why they were missing assignments, I would be coaching and taking the pay cut associated with moving from senior writer to NFL assistant coach. But I can tell you this: The Jaguars’ defensive scheme is not complicated. They players know the defense whether or not they’re here in May and June. I started the season expecting each snap to be a good play for the Jags and hoping it wouldn’t be bad. Now I expect bad plays and hope they’ll be good. So sad. You’re right. The fate of professional sports teams often changes dramatically from one season to the next. It’s tough, and emotional. The highs wouldn’t be nearly as fun if that weren’t true, but the lows … well, they stink. Mr. 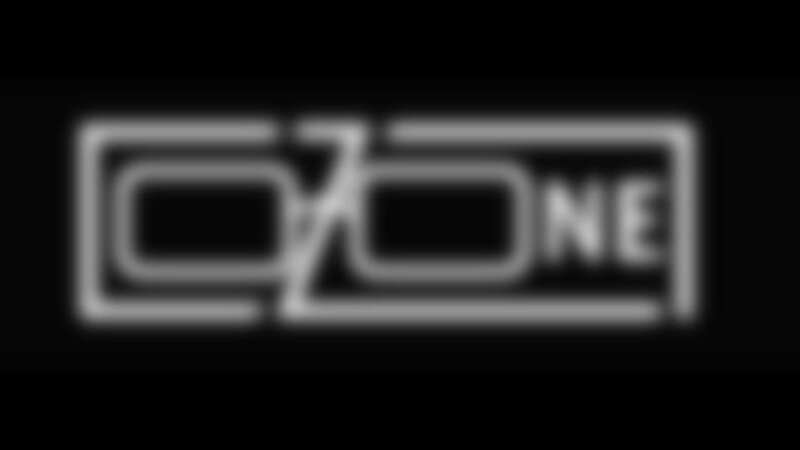 Zone: Running back Leonard Fournette is back, we are at home, and the Steelers’ quarterback is not a mobile one. I'm looking forward to a Sunday afternoon of beer, babes and Berger bashin'. Heck, it's what the Jags do, ain't it?? Between Jalen Ramsey sending his tweets, the pub incident in London, the undisciplined play on the field … it seems like there is some discontent in the locker room. Is this another case of a coach losing his team? When things are going this bad you would hope the team would rally and improve. But it seems the lack of success is just causing more divides. One other note, I find it incredibly ironic the NFL takes away our Sunday night game, yet if you watched the MNF game, that stadium was empty. Maybe 50 percent capacity at best. The NFL has some nerve. At least our stadium would have been full and rocking. When things go bad in the NFL, things go bad. And while I honestly don’t get a sense Head Coach Doug Marrone has lost the team, when a team with this many personalities loses five consecutive games you’re going to have some discontent and public brushfires. As for the NFL allowing the San Francisco 49ers-New York Giants game to stay on national television this past Monday, there was no irony there. Because there was no choice. The NFL doesn’t flex Monday night or Thursday night games out of national television slots; only Sunday night games. The logistical complications associated with flexing a Monday or Thursday game in terms of travel for the road team and stadium operations for the home team prevents them from being flexed. Make it $29 Million on injured reserve now. Also, is the best we can do really signing guys that even the Giants’ dumpster fire of an offensive line didn't want? So, Zone: After the events at Fulham Football Club should any of the Jags coaches be getting nervous? How Jaguars Owner Shad Khan handles the Fulham coaching situation has nothing to do with how he handles the Jaguars’ coaching situation. Khan historically has been very patient with the Jaguars’ coaching situation, acknowledging in years past that the dynamics involved with football coaching and soccer coaching are very different. What’s up with Jaguars strong safety Barry Church this year? Father Time? O-man, two-part question. Why is Rashad Greene still on the roster? The guy has done very little positive in his career here. Next question, what’s going on with Telvin? He’s having a pretty bad season to this point. Two-part answer. Greene is on the roster because he knows the offense, and the coaches/front office believe he’s a better option than what’s available outside the organization. Jaguars linebacker Telvin Smith is struggling at times. He has been dealing with a shoulder issue in recent weeks. That hasn’t helped. When did the GERMANS bomb Pearl Harbor? It’s time to move on from BB5. It doesn’t seem he sees the field well and is constantly hitting checkdowns. I find it hard to believe that there aren’t any receivers open that many times in a game. He’s not anticipating his receivers on intermediate routes and holding on to the ball too long, resulting in check down after check down. Thoughts? Jaguars quarterback Blake Bortles has limitations that are well-documented. He has played well in recent weeks within what the Jaguars ask him to do. My guess as of mid-November is that the Jaguars will make a serious effort to upgrade the quarterback position in the offseason. That’s not always possible. We’ll see how the offseason and season play out. Johnny-O: You recently said something to the effect that the Jags maybe didn’t have much of a contingency plan for injuries at running back and tight end position. I’d like to add linebacker to that list. Could you imagine if Myles Jack or Telvin Smith were lost for the season? Can you say, Goodnight, Irene? It’s extremely difficult to have quality depth everywhere. The Jaguars’ lack of depth in some spots has hurt them. They also have been hurt at times by the level of play of some of the starters. Linebacker at times could be included on that list. O - T.J. Yeldon leads the team in rushing and receiving and yet he’s treated like an average and expendable player. On several occasions, you said that you don’t think Yeldon will be back next year. He just turned 25, doesn’t have much wear on the tires and he won’t demand a king’s ransom. It’s third and 7, swing pass to Yeldon. Will he get the first down? You’re darn right, he will! Why in the world would it not be a priority to re-sign one of the most dependable and productive players on this offense? Please forward my comments to the guy with the biggest office. You’re right about these things. But backup running back is a young man’s role – and while Yeldon won’t command a “king’s ransom,” he likely will command a contract larger than a rookie deal. I anticipate the Jaguars will have Leonard Fournette and Carlos Hyde in the backfield next season along with a mid-round rookie. The priority will be on finding a back in the draft who can run effectively as well as be good in pass protection and as a receiver out of the backfield. That will be tough to find, but you should be able to find backups at the position in the middle rounds. And I’ll forward your comments to Shadrick.